In yesterday’s press conference with President Trump in Helsinki, President Putin expressed concern for the plight of Syrian refugees, suggesting that Russia aimed “to overcome humanitarian crisis and help [them] to go back to their homes.” That rings hollow. Reality check: The current Syrian army offensive has triggered the single biggest displacement of the war, and it's backed by Russia. As of last week, the UN estimated more than 230,000 people are still on the move across southwest Syria, having fled the violence wrought by Russian planes and Assad’s ground troops. Earlier this month, that number was nearly 330,000 people. The offensive, which began in June, violates a “de-escalation” agreement that Russia negotiated with the U.S. and Jordan last summer. It has taken a devastating toll on civilians, not least because of Russian airstrikes. 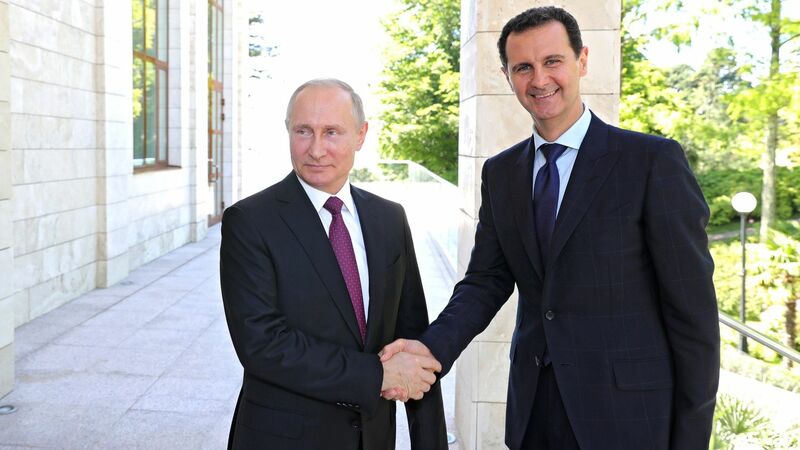 Meanwhile, Assad’s regime has used chemical weapons on its own people and planned to confiscate the property of those forced to flee, seemingly without perturbing Putin. In the past, the U.S. has held the Russian government at least partially responsible for the Assad regime’s conduct. Not yesterday. "As far as Syria is concerned," Putin said in Helsinki, "the task of establishing peace and reconciliation in this country could be the first showcase example of this successful joint work." That’s a worthwhile goal. But accomplishing it will require a change in Russian behavior.